Adjectives are special words for describing nouns. The same adjective may have 4 variants of endings. All these 4 words mean “beautiful”. For choosing the ending of an adjective look at the noun after and find out if it is a masculine, feminine, neuter or a plural noun. More about genders here. Normally the masculine ending is -ый , but if before the ending there is one of these letters: к, г, ш, щ, ж, ч, х or the soft н, the ending will be -ий. Nouns with the soft -н- you should remember like exceptions. The good news, we don’t have many of them. If the last syllable is stressed the ending is –ой. 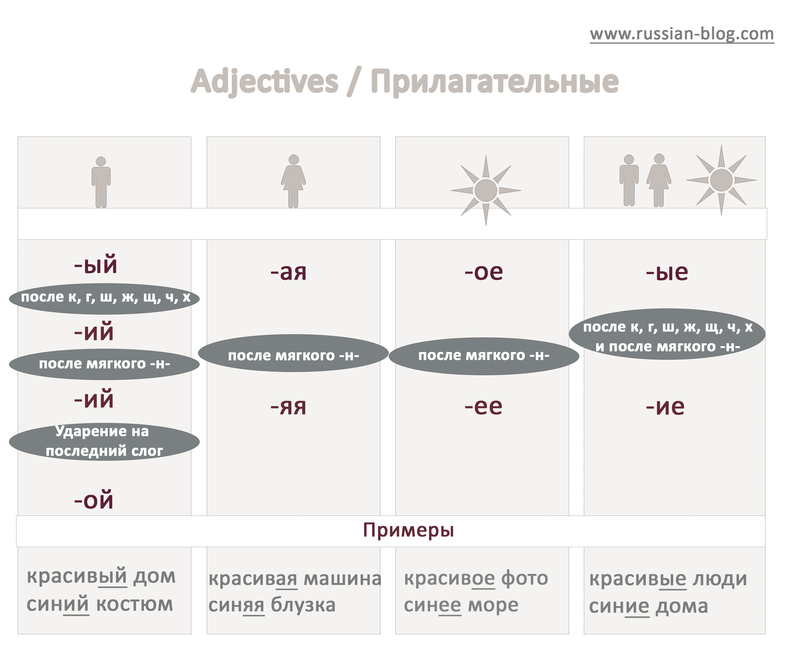 For describing feminine nouns, the endings are -ая or -яя . In most cases the ending is -ая, but if the masculine adjective has the soft –н- before -ий, feminine adjective will have the soft ending -яя. The same rule works and for neuter gender nouns and plural nouns (Use the second line in the table for the soft variant). But regarding the plural don’t forget about impossibility of having the letter -ы after one of those seven letters, this is why the ending is -ий. 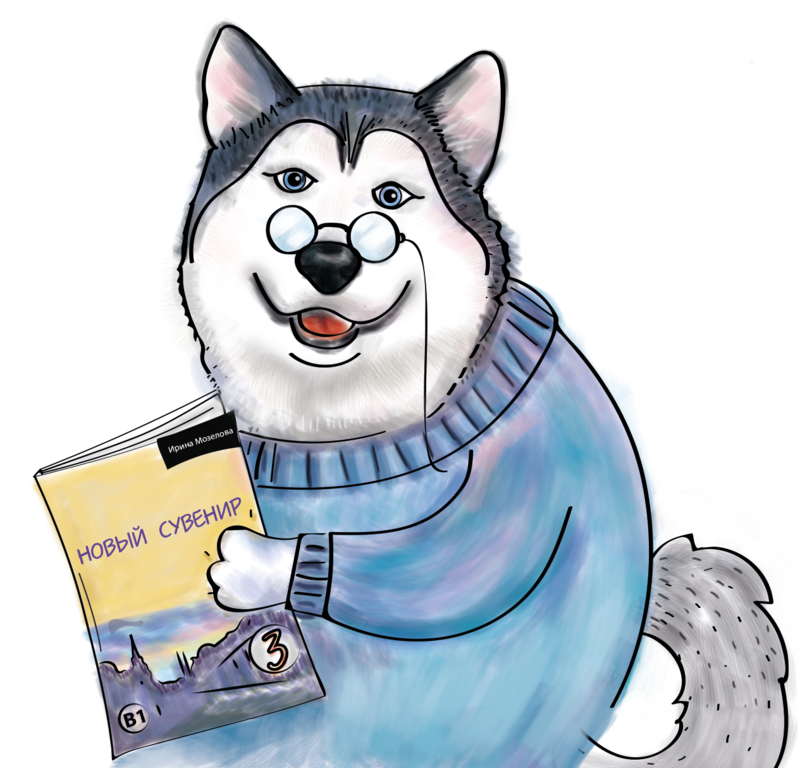 I want learn Russian language but how , I don’t know? You can find a teacher, they know how. That’s their job.